This Giant 7.25' Ice Cream Cone Sundae Display will delight your customers as much as it will you! Huge Ice Cream Cone Statue has a sturdy wheeled base for easy mobility. 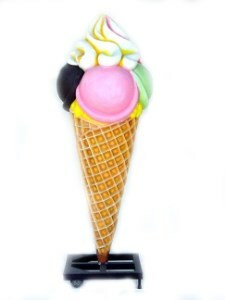 Ice Cream Sundae Cone is Handcrafted of a durable resin, Measures Approx 28"l x 28"w x 87"h and Weighs Approx. 53 lbs. Perfect addition to your Ice Cream Parlor. Butlers and Signs offers free standard shipping to the lower US, however other arrangements can be made! 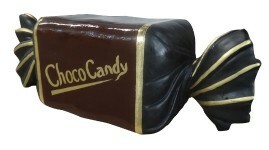 Large Commercial Faux Food Displays - Ideal Decor for Events, Restaurants, Diner and Ice Cream Shops. 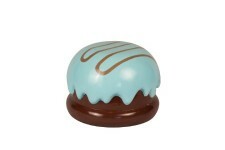 Large Resin Food Displays! Large Fake Food Display ~ Great Restaurant Decor! Buy today!